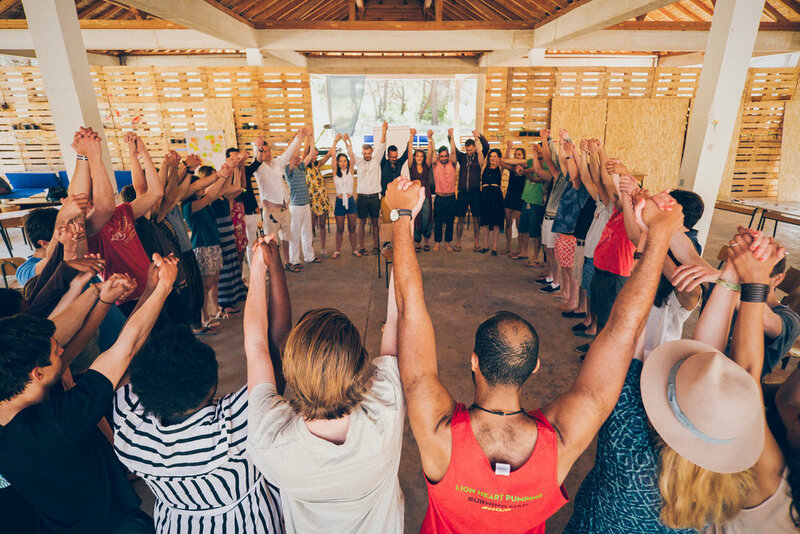 Last year, in Croatia, the Sandbox Summit gathered 320 people from 49 countries. “Rebirth of a Nation” took an important role in activating the community around the theme of identity and governance. After a tumultuous but affirming few years of questioning our very own structure, what emerged from Croatia was a renewed sense of identity, as well as an increased depth and power of our relationships, as friends from around the world. No matter where we’re from, we actively strive to know who we are and we give each other the space and the opportunity to be and become our best selves. This realization was not merely based on our intuition as a community, but supported through a lived experience that united and continues to unite us. Our previous summits served as vital opportunities to form and deepen relationships for our individual and collective journeys of curiosity. This year’s Summit in Kenya, where Sandbox members have been present for over five years, not only will celebrate our global community, but also work with the local community for the first time to share ideas, best practices, and learn from each other. To us, the new self-determination in the age of humans will be that of friends who feel like family, from around the world, sharing a worldview we want to live and grow, together. Friends who demand to withdraw consent from social contracts we never signed and reassert our liberty to live under ones we would happily co-create – this being a distinct possibility in our lifetimes and not in some distant hereafter. The Anthropocene, the geological era our Earth is entering, the Age of Man, or rather, the Age of Humans, will be shaped in community. Humanity is an expression of Earth’s life, an emergence of billions of years of evolution. According to some archeological accounts, the region of the Rift Valley - the cradle of humankind - could have been the scenario of key transformations embarking humans on the consciousness journey from living wildly in Nature to the emergence of Culture. Welcome to the age of humans - the Anthropocene - in which the beginning of a new geological era is being shaped, and we're not up to a brilliant start when it comes to impact on our environment and planet. Oceans of life are becoming oceans of plastic. Habitat loss, desertification, and extinction are just some of the few results of the Anthropocene that are impacting Kenya right now. The global climate balance has tipped us towards an uncertain future. In effect, we as humans are changing the breathing rhythm of the planet by irreversibly impacting the land, sea, and the atmosphere. As we enter a zeitgeist that speaks of reexamining and subsequently changing all of our systems, ranging from environmental, to financial, to governmental, to even exploring the perceived and changing bounds of consciousness, what better time than now to come together and to contemplate where the individual fits into the whole through the lens of community? We find ourselves in a beautiful place at the center of history but also in the midst of nature, a perfect metaphor for Sandbox at this very moment. How will we balance continuing to build our community while also being conscious of the changing world around us? Let’s face the tough questions around impact, footprint, ethical and moral dilemmas that plague but are also the opportunities for our generation. Let us also remember what brings us together: the depth of our friendships, stemming from the brightness of our individual selves and how willing we are to converse, listen, teach each other, explore, evolve, and play together. Last but not least, imagine this: What if we leave Kenya, clearer about how we want the world to understand who we are, and how we fit into this planet at this very time in history? What world are we designing and laying the ground for future generations? And where does Sandbox play into the Anthropocene?